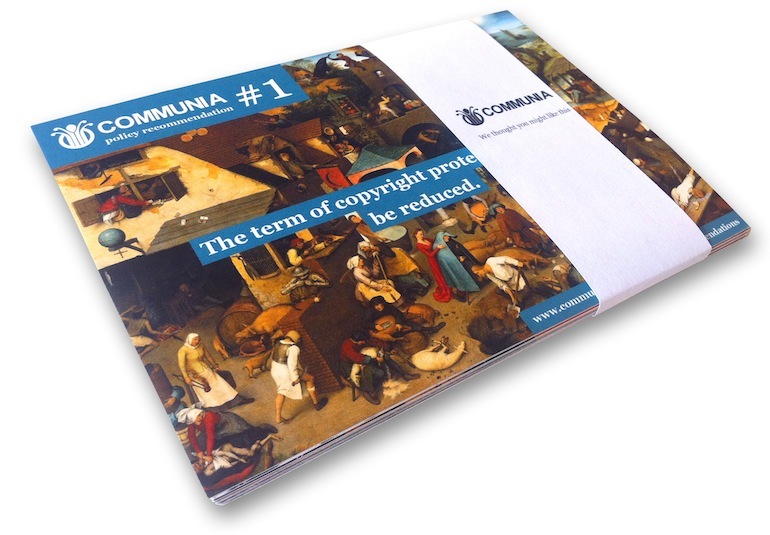 At the occasion of the 1st Digital Agenda Assembly and the corresponding launch of the COMMUNIA Association, the COMMUNIA Association has published a set of 14 postcards with 14 policy recommendations. The policy recommendations have been drawn up by the members of the COMMUNIA project and they serve as guidelines for the works of the new COMMUNIA association. The recommendations adress a range of issues that are relevant to the protection and strengthening of the (digital) public domain. While the policy recommendations have been drawn up with the European policy framework in mind many of them are more general in nature. With the postcards we hope to bring attention to the role of the public domain in the digital environment and encourage participants of the DAA and Europeana policy makers to take concrete steps in safeguarding and strengthening the Public Domain. The postcards provide concrete recommendations many of them tied to issues that are currently on the European Digital Agenda such as access to orphan works and access to Public Sector Information. The policy recommendations are aimed at European policy makers and the postcards will be distributed during the 1st Digital Agenda Assembly. The postcards combine the the policy recommendations with reproductions of 14 artworks that are in the Public Domain. A pdf file containing all 14 postcards (front-side only) is available here and PDF files of the individual postcards are available on the policy recommendations page. This entry was posted in EU policy, publications and tagged copyright reform, publication. Bookmark the permalink.